for those reading who may not be melbourne-based, we victorians are currently experiencing one of the coldest winters in a while + certainly the coldest i’ve encountered since moving here four years ago. sure, its not exactly snowing and -13C (like that one christmas that i experienced in new york)… but it’s still pretty flippin’ freezing thanks to that incessant + icy antarctic wind. however, unlike london + new york, at least the sun still comes out to play + you’re not left stuck under a cloud of miserable grey. speaking of miserable grey… my recent invite to (re)visit to magic on ferrars in south melbourne contained nothing of the sort. not only was the weather wonderfully sunny (albeit still freezing), luring us out to a table on the footpath… but there was not a skerrick of grey or black to be found amongst the vibrant + happy colour-scheme presented in the menu, décor, cutlery + staff. almost enough to make me forget that it was a chilly 8 degrees outside (almost!). 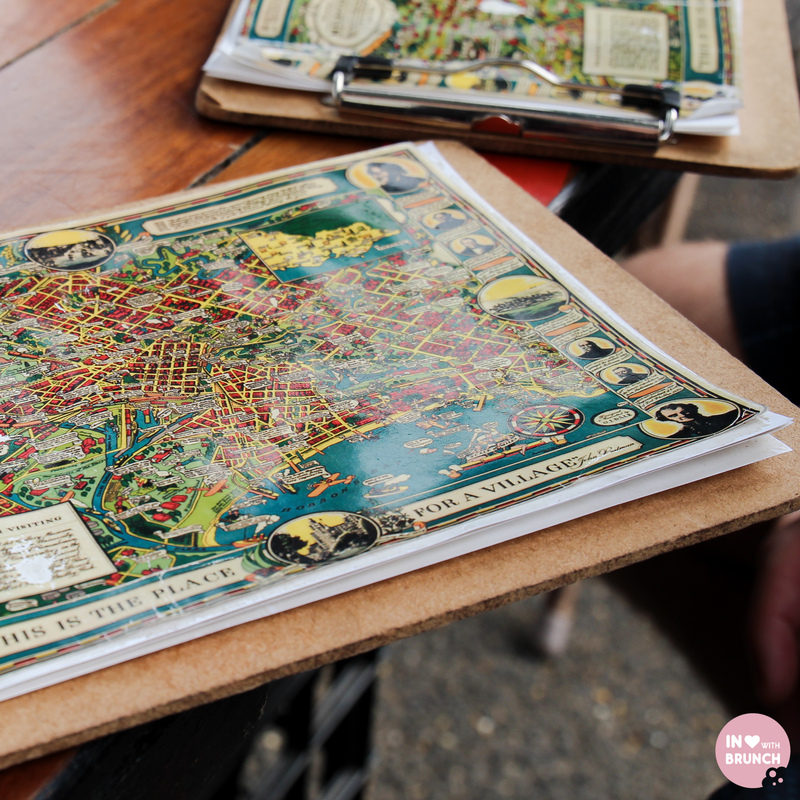 speaking of vibrant… how cool are these exuberant, cheerful menus?! magic serve up a delicious house-blend of well-reputed st ali coffee, and a large mug of latte to wrap our hands around was much needed. 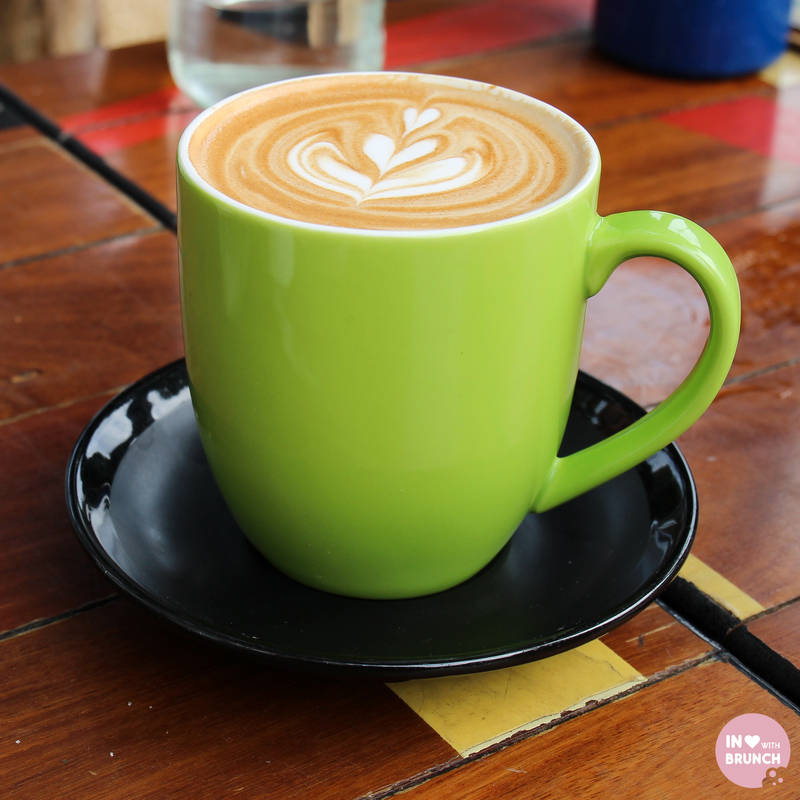 it is a blend called steadfast – 70% colombia pitalito (supremo) + 30% brazil fazenda rainha (red bourbon) – which has a smooth and balanced taste with a creamy mouthfeel + developed brown sugars. soft plum + raspberry jam leads to caramel and a lingering milk chocolate finish. sounds + tastes awesome – plus it was hot! winner. 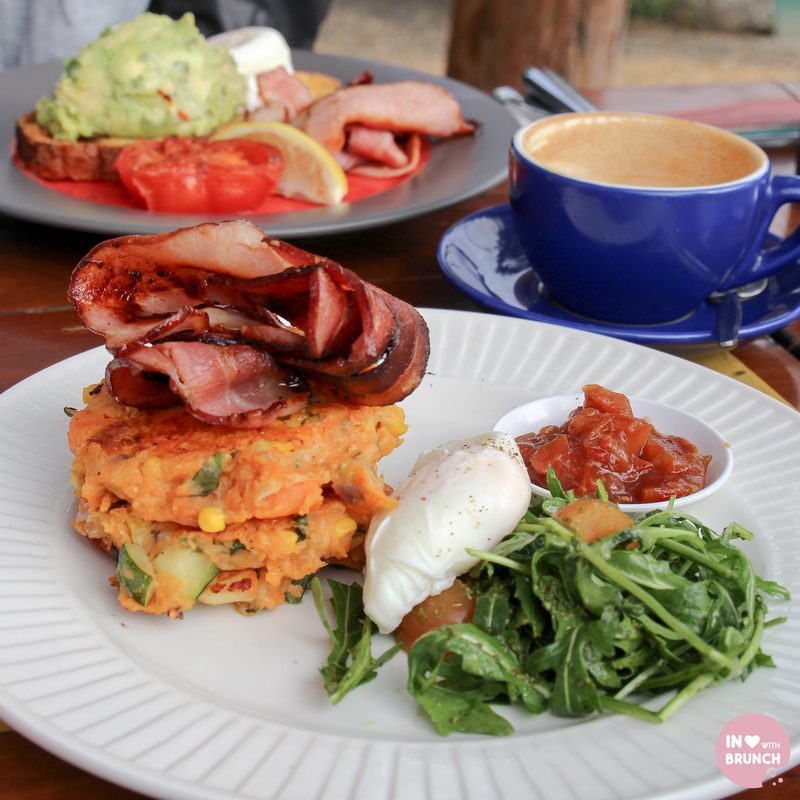 in the background is my friend’s smashed avocado with bacon, eggs + roasted tomato – a generous sized serving + wonderfully fresh zesty avocado smash. 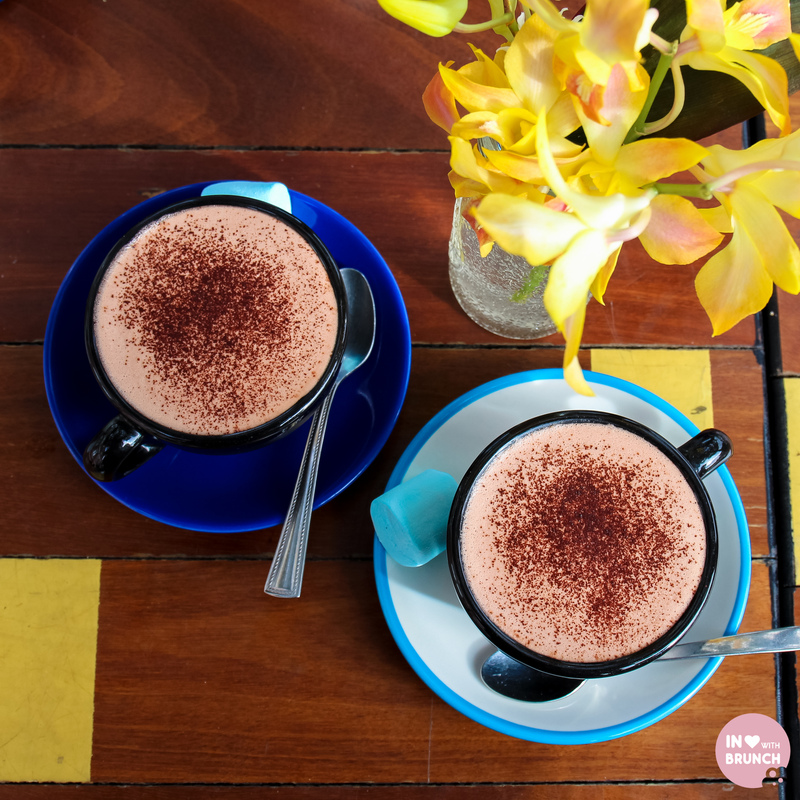 no breakfast date is complete without some sweets… so a couple of us opted for creamy, chocolaty + delectable mork hot chocolate‘s before we finished. 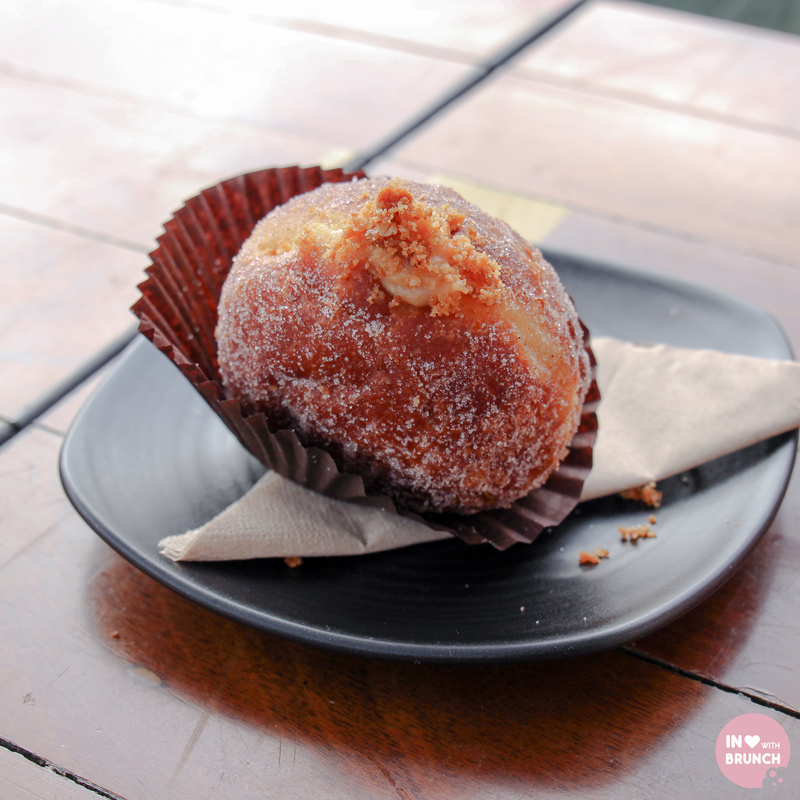 while the others went with some sinfully-sugary cobb lane apple crumble donuts. omg. yum! 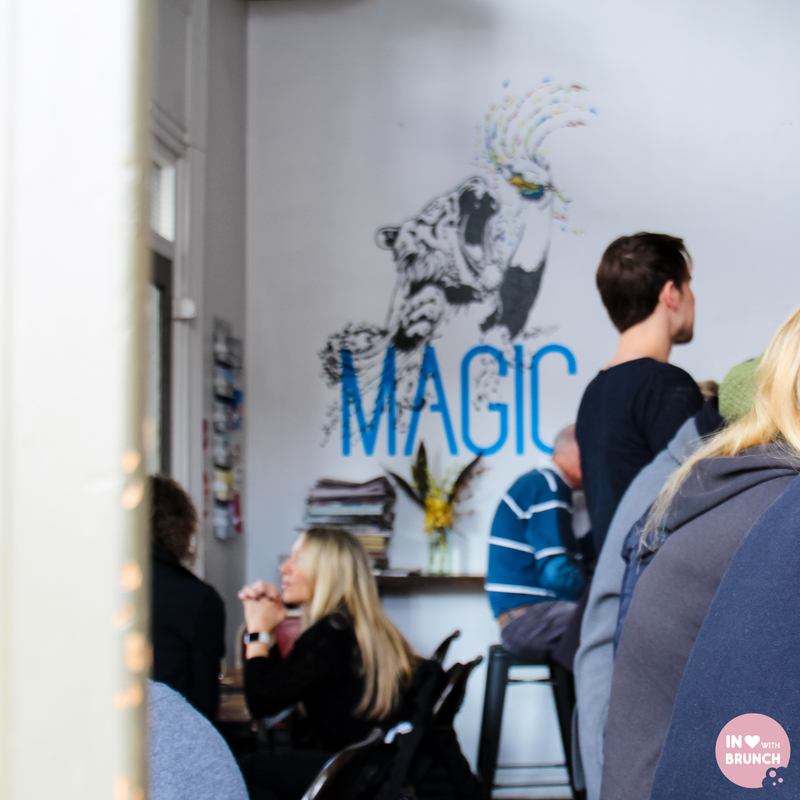 magic has a pretty cosy inside space, so you might find you have a short wait for a table… alternatively, grab a stool along the bar and enjoy the banter and some super cheerful (and often funny) conversation with owner ashley – who can usually be found behind making those delicious coffees – and the rest of the uber friendly team. the footpath outside however is wide, open + also dog-friendly with plenty of extra room to spread out + pull up a stool or chair if you prefer. 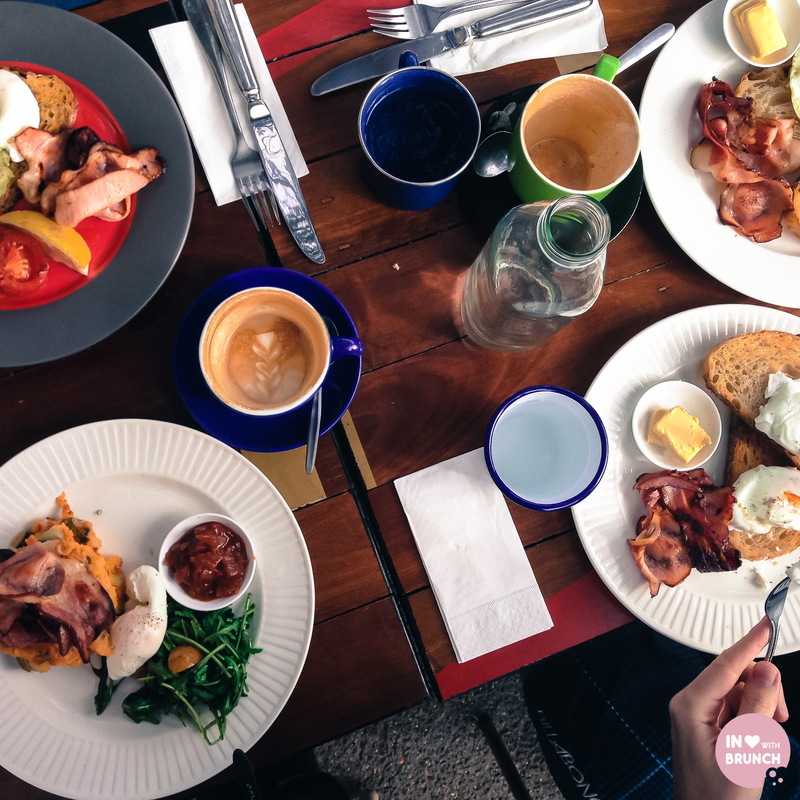 it’s just a pity those poached eggs were over-cooked for us (a similar experience to the first visit), otherwise the execution of the food would’ve been spot on for us too this morning. regardless, magic has got some pretty alluring appeal, and i could definitely see this being a regular local spot for those in the area. 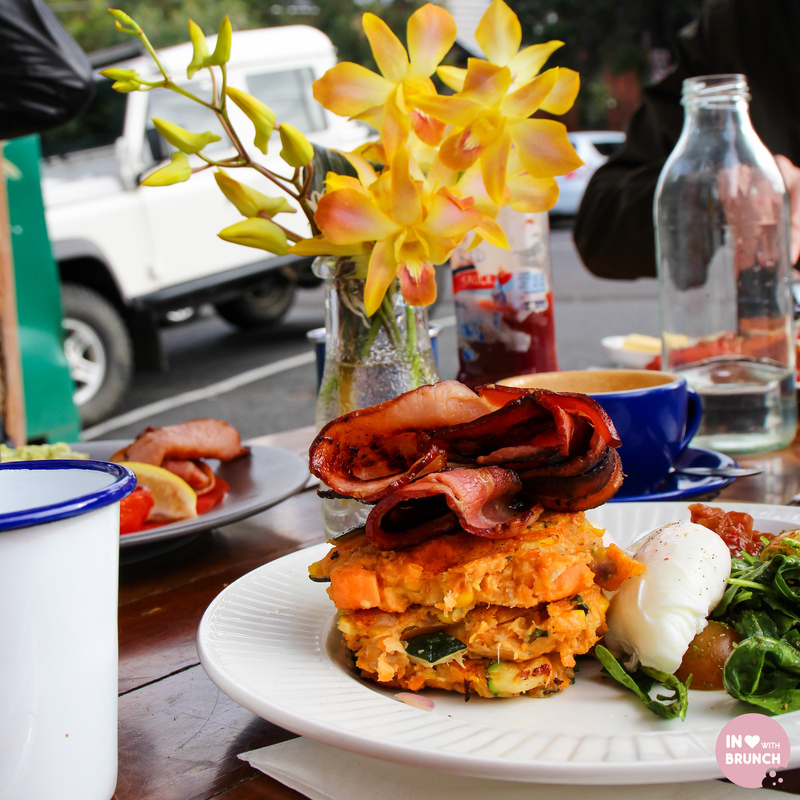 verdict: with all that vibrant colour – you can’t help but leave feeling reinvigorated!